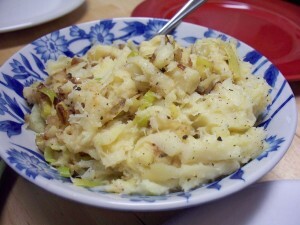 Place the parsnips in a large pot. Cover with cold water and then bring to a boil. Allow to cook for 20-25 minutes or until parsnips can be easily mashed with a fork. While the parsnips boil, melt 2 TBSP of the butter in a medium skillet. 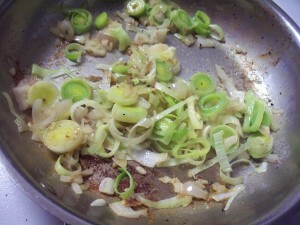 Sauté shallot and garlic for one minute before adding the leek circles. Cook, stirring to keep the mixture from sticking, until the mixture is carmelized and beautifully browned. Remove from heat. Drain the parsnips, leaving about 1/4 cup of hot water in the pot (you’ll have to eyeball it, so just leave yourself enough hot water to start the mashing but not enough hot water that it looks like your parsnips could drown). 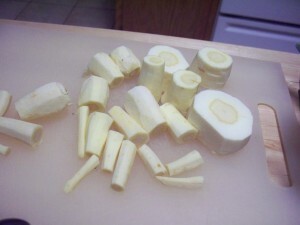 Using a potato masher or large heavy fork, begin mashing the parsnips. Parsnips are stringier the older and larger they get so if you see some strings don’t fret. Add the remaining 2 TBSP butter and 1/4 of the cream. Continue mashing. Add the leek mixture. Add more cream if needed, remembering that unlike you, this will never be smooth. Christmas, leah charney, leeks, parsnips, side dishes. Bookmark the permalink. Post a comment or leave a trackback: Trackback URL. I am going to a no dairy, gluten, sugar, or meat holiday dinner this weekend. Do you think this recipe would be good with coconut milk instead of the heavy cream? 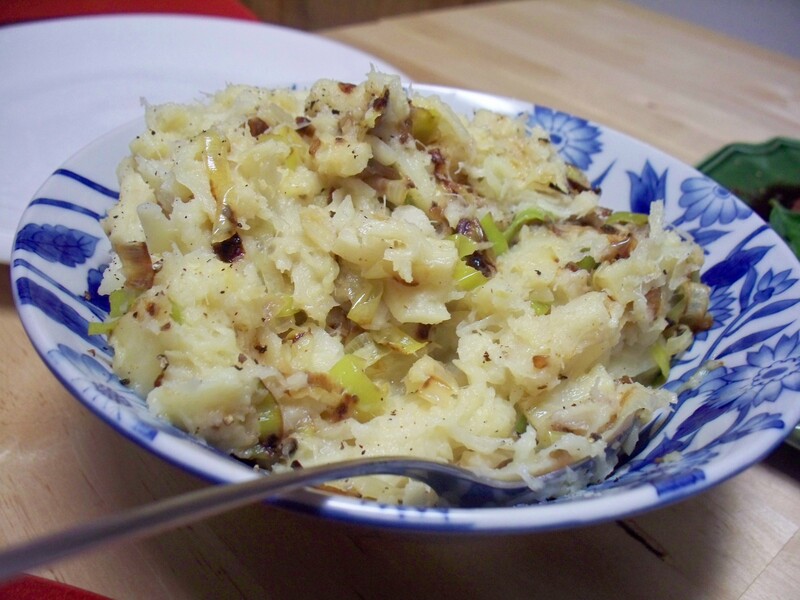 Do parsnips play well with coconuts?